A few city schools, such as PS 196 in Brooklyn, already have pre-k classrooms for 3 and 4-year-olds with special needs. Prepare for a stroller brigade at some public schools next fall. 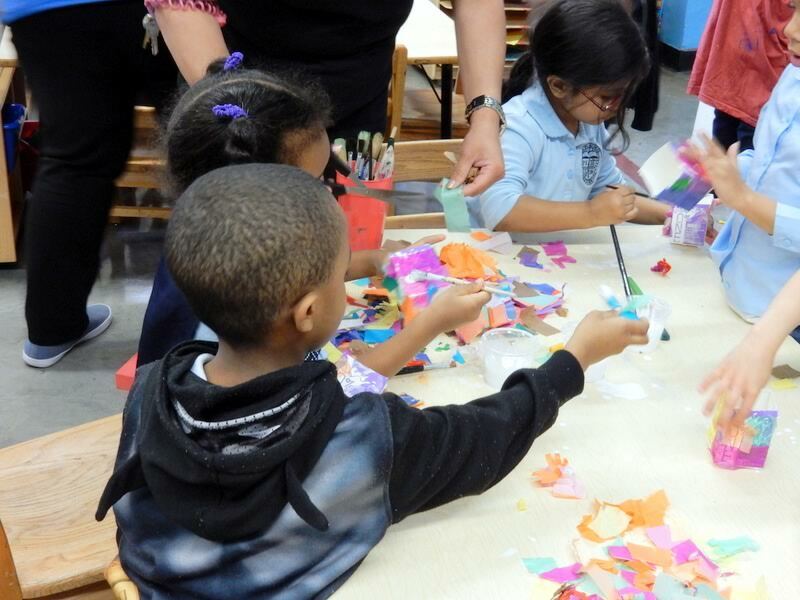 3-K-for-all, the mayor's new initiative to enroll three-year-olds in school is launching this summer in Districts 7 (South Bronx) and 23 (Brownsville, East New York, Ocean Hill). The city is starting the program in districts which serve primarily low-income families and have no zoned schools but with the goal of adding two districts per year until 2020, for a total of eight districts out of the city's 32. Don't know if you qualify? Type your address into our search box and it will tell you which district you live in. If you're in district 7 or 23, you're in luck. Act now. The official deadline to apply is Friday, July 14, 2017 and some programs are seeing a huge demand, like Sunshine Daycare on Willis Avenue, which has received more than 400 applicants. "We have never, in all my years working in pre-k, seen 400 applicants," said director Elizabeth Goyens. There will be a second application round in late July, said Marie Denise Jean, the parent coordinator at PS 401 Christopher Avenue Community School, which she said will host two to three classes based on demand. Apply online, by calling 718 935-2067 or in person at a Family Welcome Center. These programs are free whether they are located in a public school, such as PS 25 Bilingual School, a dedicated pre-k center run by the Department of Education, a private program like Sunshine Daycare or a religious school such as St. Peter and Paul Parochial Elementary School (religious instruction does not take place during 3-K for All hours). We list types of options here. Before you submit your application, watch our video, What to look for on a pre-k tour and print out our list of "What to look for" in pre-kindergarten. Go visit if the school is open. It is important you see in person where your child will spend his or her days. Even though schools are closed for summer break, some are open for summer school and the parent coordinator should be on hand to show you around. Ms. Jean, at PS 401, said she has a computer to help register parents who walk in. You can find her name and contact information on the school page. It's a brand new initiative and there are still some unanswered questions. Check the DOE's 3-K page for information. You can click through the individual programs to see their hours of operation (looks like all are full-day and some have optional after-school hours) and other particulars.